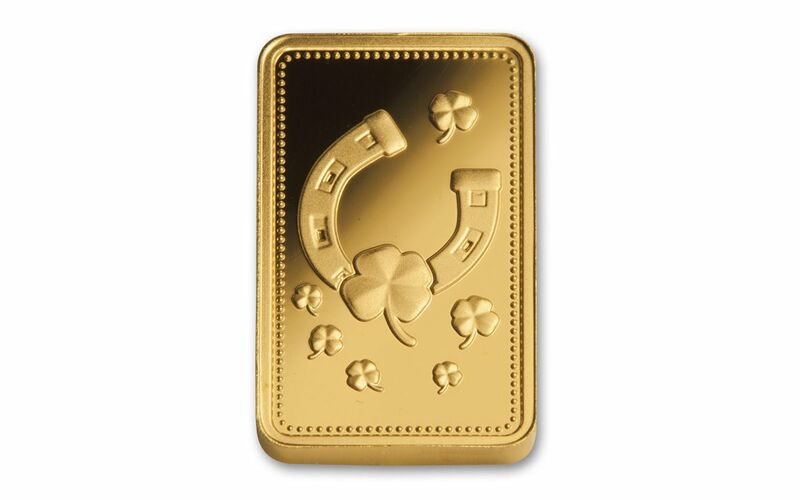 Your Luck is About to Turn Golden! Horseshoes are lucky. Four-leaf clovers are lucky. Seven four-leaf clovers represent absolute perfection. 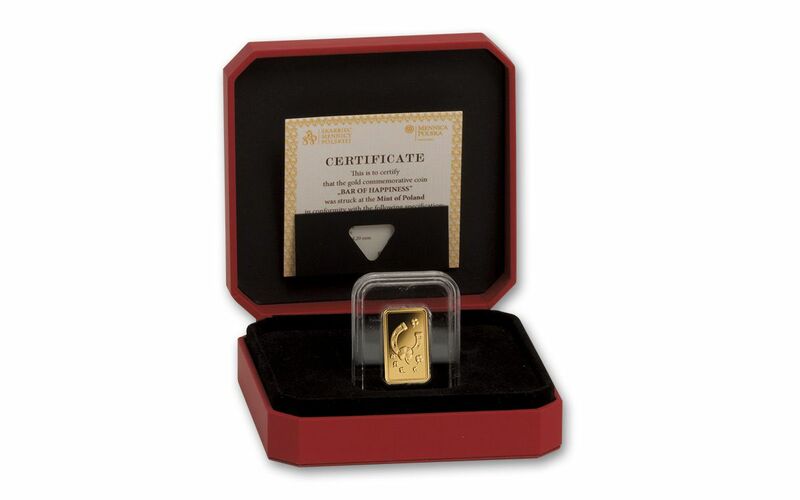 And who doesn't love gold? 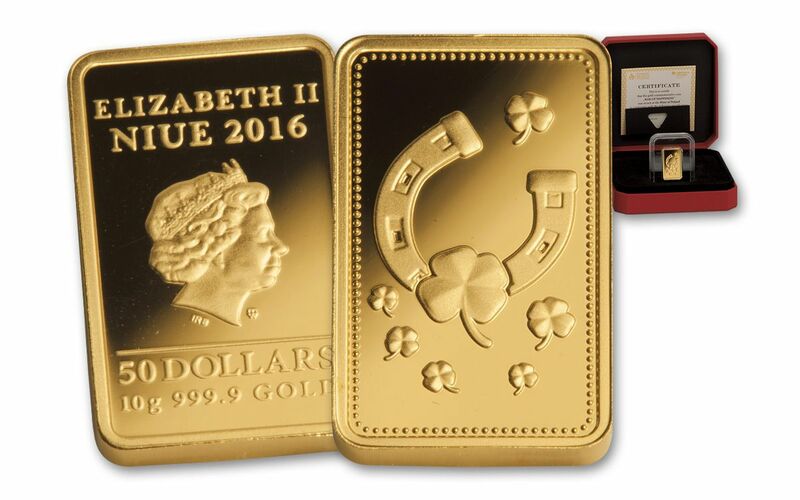 Put them all together and you get these Gold Ingots of Happiness from the New Zealand Mint. 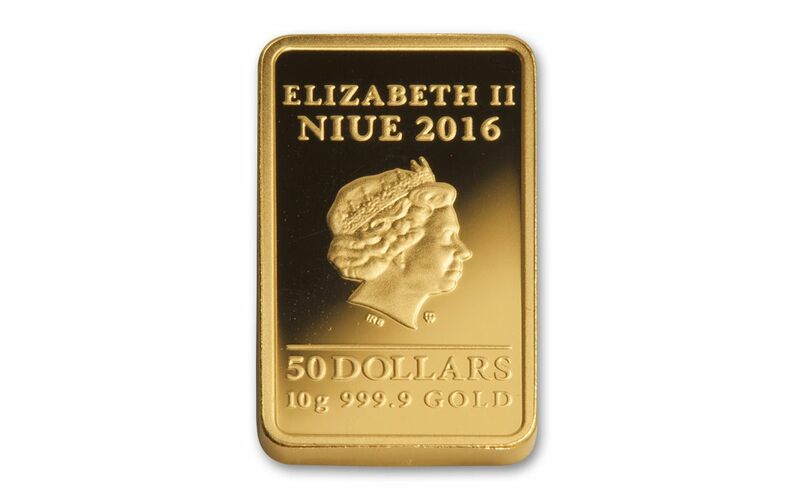 Each is struck in shimmering proof condition out of 10 solid grams of 99.99% pure gold and carries a legal-tender value of $50 Niue. Add one to your cart now!